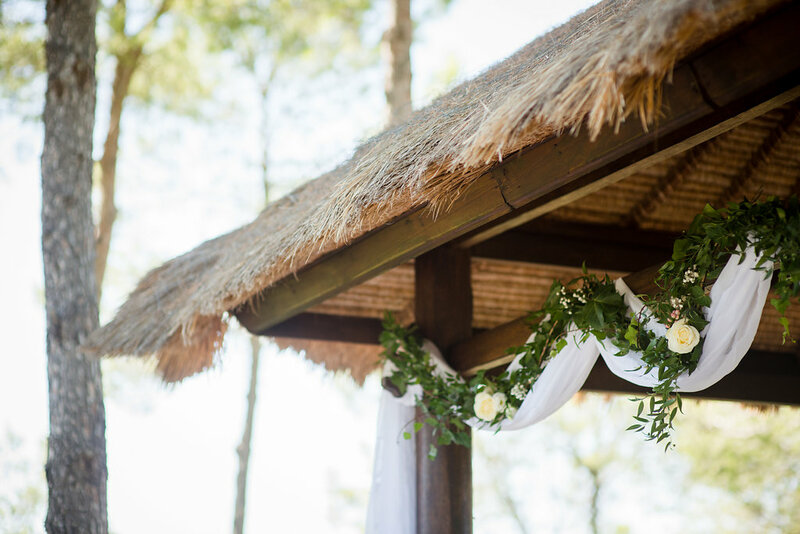 After having chosen your Ibiza wedding venue and setting the date for that one special day, the next step will be to start thinking of all those small and large details that will shape your Ibiza wedding! And how exciting is this! 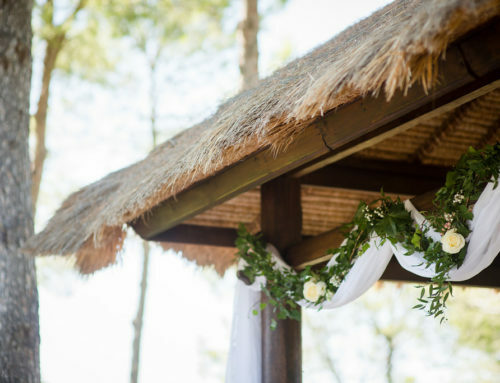 We love sharing with you our thoughts, ideas and the latest trends, so continue reading to get soaked with wedding planning knowledge! 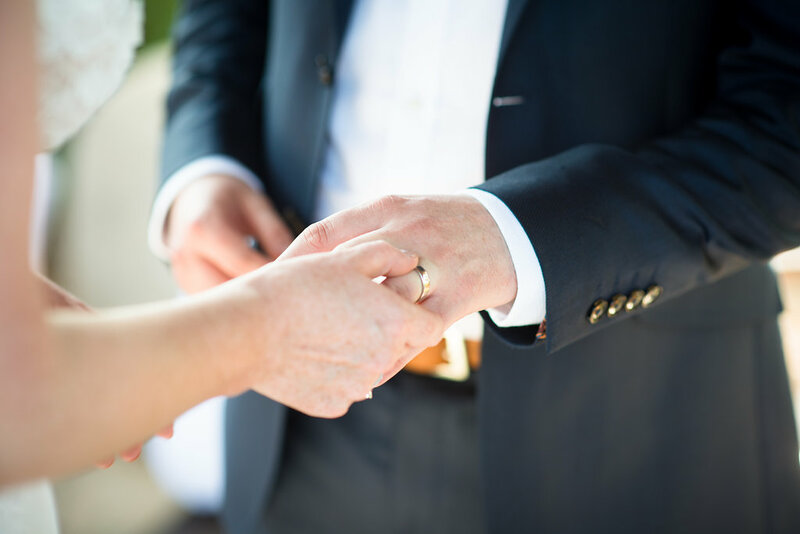 Throughout the entire process of planning your Ibiza wedding, you need to remember that this day is about the two of you, so make sure to incorporate as much of your personal touches in as possible without making it all too overwhelming! Today we want to focus our blog post on your floral arrangements, therefore we are going to give you some wedding flower tips that you will not want to ignore. When talking about wedding flowers Ibiza, know that you will be spoilt for choices when it comes to variety. 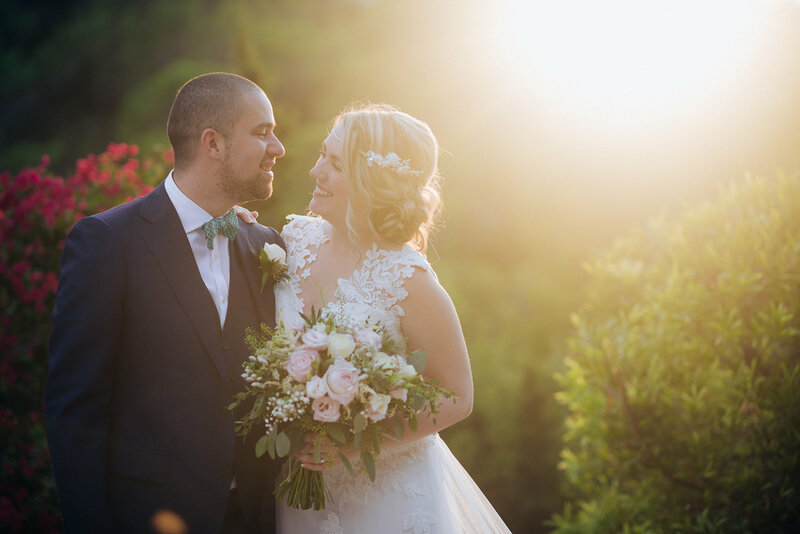 This is why we always recommend that you hire an Ibiza wedding planner who has worked with the different suppliers before and that fully understands what you want and can ensure that your wedding flowers are exactly what you plan for them to be. 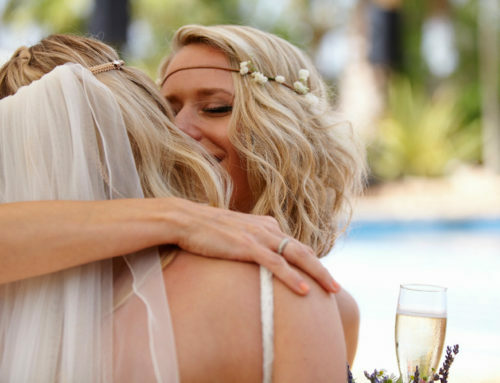 Your Ibiza wedding planners will be a guarantee to get those floral arrangements spot on! And believe, I know what I am talking about. A great wedding planner goes all out to get you that lovely and creative looking bridal bouquet. But remember, having a wedding planner is not like putting the automatic pilot on. 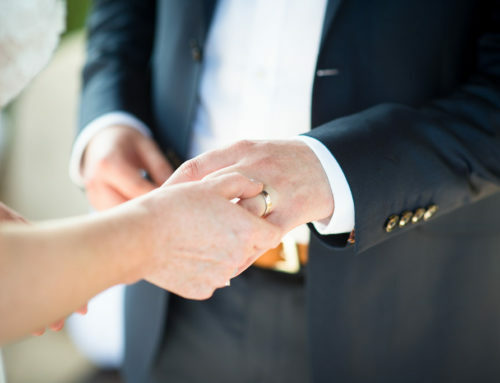 It is highly suggested that you do not leave everything to your Ibiza wedding planner, as the personal touch of your Ibiza wedding will actually come from the brainstorming of the both of you that then combined with her knowledge will return that perfect combination of personal and professional. 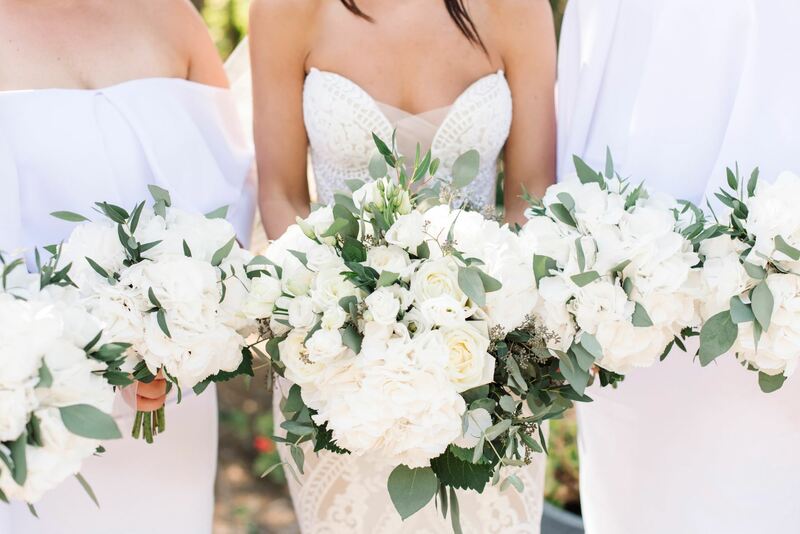 On this post we have done some initial research for you and we are including some of the hottest bridal bouquets trends that will steer you in the right direction. 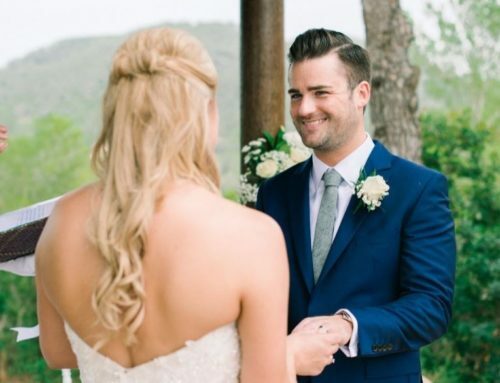 Remember that these trends rocked in weddings worldwide the whole of the last year of 2017 and will most probably continue rocking in all 2018 Ibiza weddings! And most probably we will see them at the Royal Wedding in England this year! This is the perfect color for a bridal bouquet especially if you are having an all-white themed wedding. The choices when it comes to jewel tones are endless. You might decide on emerald greens, citrine oranges, sapphire blues, ruby reds and so on. To make the bride stand out more and accentuate her major features, as a wedding planner, I have opted for shades of flowers that match the color of her eyes, lipstick shade, or hair. There are times when the bride chooses roses and in order to create a unique and classy version of the all rose bouquet; I usually choose roses with hues of red wine for the best effect. Succulents are perfect if you are having your wedding in a warmer location because they retain water and look fresher for longer, allowing your wedding pictures to look great, down to the last one where you throw the bridal bouquet to your bridesmaids. Succulents come in various shapes and shades – going from off green up to a vibrant hot pink! Their effect against the backdrop of the white wedding gown is absolutely lovely! This is the kind of bridal bouquet to choose if you are looking for something bolder, unique and one that would last beyond the wedding hours. I highly recommend this type of bouquet if you have chosen a rustic wedding venue! There is nothing that beats pink bouquets when it comes to romantic looking wedding flowers Ibiza. 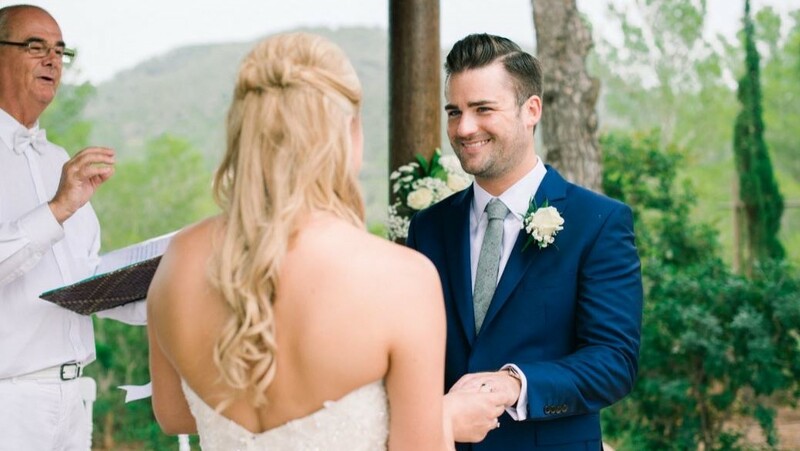 They manage to achieve the brighter and bolder look which many romantic and outgoing brides will love. This hot hue is usually available in various shades such as bright fuchsias, paler pinks, coral hues and so on. Make sure the hot pink matches your blusher or lipstick for a more romantic look! If you want to make a statement when it comes to exquisiteness or elegance, then opt for English garden flowers against a backdrop of gorgeous greens with other bright pops of colors that will no doubt have the best effect. 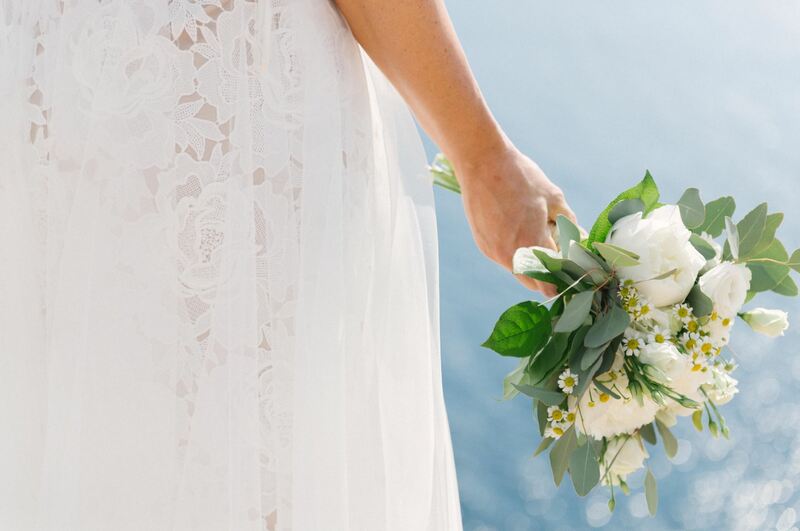 To make an even bolder statement during your wedding opt for an oversized bouquet of these wedding flowers and make sure they are cascading downwards for the best effect. 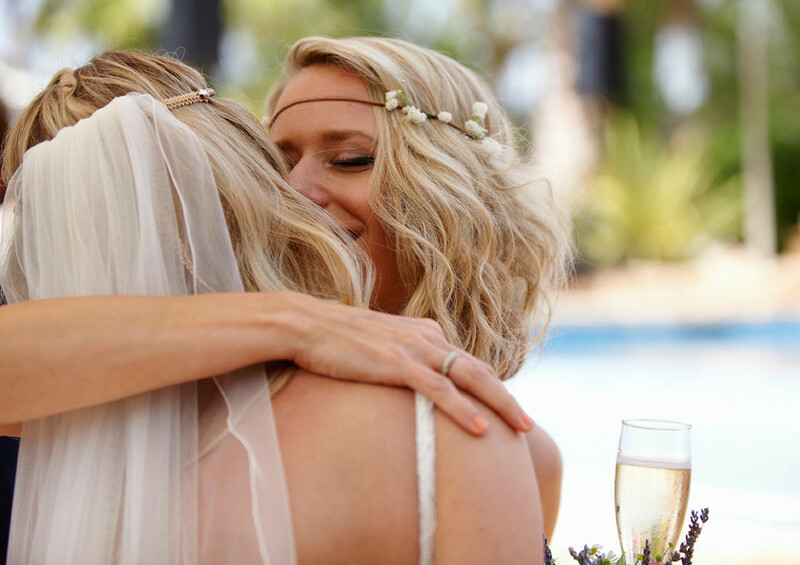 If you are still looking for an Ibiza wedding planner, then get in touch today!